It’s a broad and multi-faceted field that continues to evolve and mature. Its focus reaches beyond its term ‘regeneration’ to include support and stimulation of the body’s pathways for healing and maintaining health. This occurs at the cellular, genetic and molecular level. I’m involved with advancing the development of one area of Regenerative Medicine: utilization of a patient’s own cells and proteins (autologous), which are collected, concentrated and re-implanted at the site of injury or disease. This is accomplished with two primary preparations PRP (Platelet Rich Plasma) and BMC (Bone Marrow Concentrate). While my clinical work is focused on Orthopedic applications of these two preparations, there are many other fields of medicine that are intently researching and applying their benefits like Dermatology, Plastic Surgery, Wound Care, Neurology and Cardiovascular medicine to name a few. 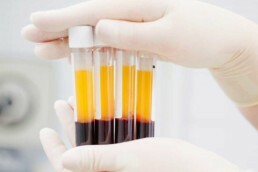 Platelet Rich Plasma involves separation of whole blood into components which can be concentrated, most notably, into platelets and white blood cells. These components release proteins that that initiate and coordinate the body’s healing and repair responses. Platelets in particular release high concentrations of growth factor proteins that are needed to activate the body’s repair mechanisms. Bone Marrow Concentrate is similar to PRP, but involves concentration of blood components from bone marrow. This includes many populations of stem cells. Platelets are also concentrated which release growth factors similarly to PRP. Growth factors + cells = building blocks and stimulation for repair. Stem cells from bone marrow can stimulate repair via two distinct mechanisms. The first involves attachment of stem cells to injured tissues, which divide to become new tissue (a process called differentiation). The second mechanism involves stem cells releasing proteins that communicate with cells of injured tissue to signal healing mechanisms within that tissue. Stem cells are immature cells found in almost every part of our body, but in varying concentrations. 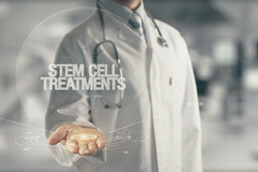 Stem cells by definition can become other types of cells. 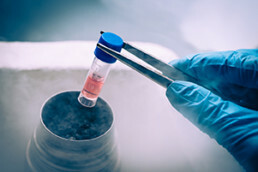 There are many populations of stem cells each with unique functions to maintain normal health. These types of cells are particularly concentrated within our bone marrow. Bone marrow is specialized tissue found inside our bones, which function to maintain good working order of all of the tissues in our body, from brain to bone to blood. It functions to recognize and respond to the body’s need to repair or replace cells needed to maintain control over health. Due to this high concentration of stem cells, blood from the bone marrow is often targeted to obtain stem cells for therapeutic purposes.